"INplc" is a real software-PLC in accordance with IEC61131-3. INplc adopts MULTIPROG & ProConOS (by PHOENIX CONTACT Software GmbH Germany) which has a lot of results in the world. And, INplc-Controller adopts INtime and a standard Windows computer as its basic structure. ･No specialized hardwares are needed. ･Efficient hardware can be selected from among the marketed commodity. From the high end system to the embedded system, you can construct various systems with a high flexibility. PLC Program is developed and maintained by this. PLC-controller with "INplc Runtime License"
These can control connected-I/Os by the program developed with INplc-SDK. INplc corresponds to 5 languages in accordance with IEC61131-3 that IEC (International-Electrotechnical- Commission) provides. INplc editor can also make these languages exist together. The language-conversion is also possible. 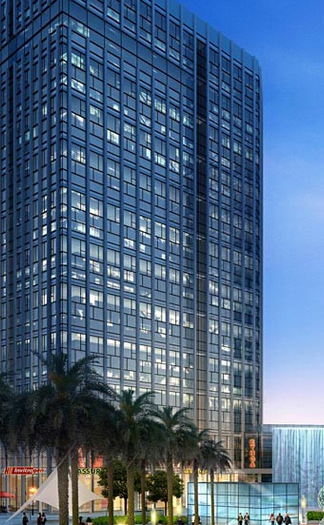 The maximum merit of INplc is that it can be used with Windows together. It is a multifunctional controller equipped with not only the PLC program but also the C language program and the HMI application. The motion control by the function block or C language is also possible ( option). The hardware of INplc is interchangeable to a board computer or a standard computer on the market. Therefore, peripherals on the market and the interface board of each company can be used for the INplc system. Abundant functions of Windows can be used in INplc. For instance, the ultra-high-density display, network connection, the voice reproduction by the audio codec, and the processing of the data base can be done with each controller unit. 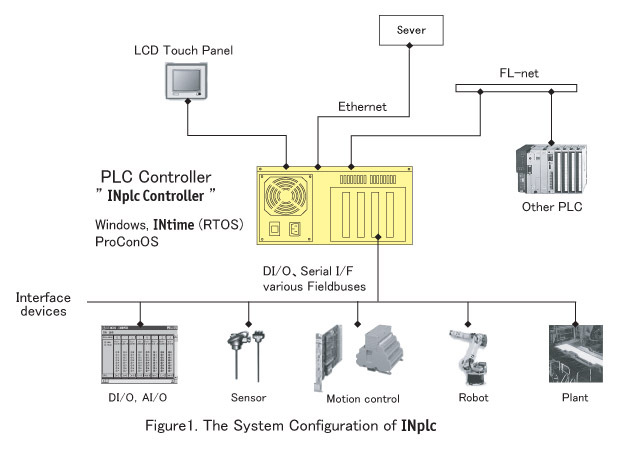 Both development and execution can be done with one PLC-Controller. Of course, "Cross development (development by another PC)" is also possible . The environment along PC architecture can be used as the development setting of INplc. Any special knowledge is not needed, and it is possible to develop smoothly. INplc can operate the PLC program and the Windows program together at the same time. Therefore, the Windows programmer can be involved in development together.For instance, both programming with LD language and displaying the result by the GUI application can be done.